So, even though I’m now near Dublin in the lovely country of Ireland, it seems fitting to kick off my city write-ups with a little tribute to a city in another island country, whose fashion culture spawned yours truly. Admittedly, my dear Manila isn’t exactly a fashion capital according to the Global Language Monitor, an analytics company that tracks language trends in order to understand cultural shifts. 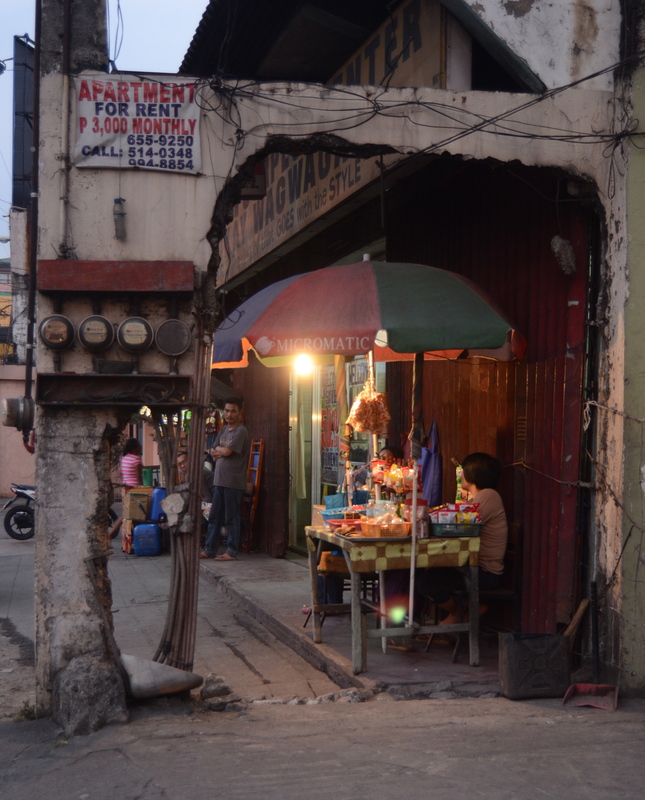 The metropolitan area of about 18 million is marked by severely uneven development: pockets of well-off families live in gated subdivisions and support hosts of designer brands like Gucci and Marc Jacobs, while less than a mile away, squatter kids run out of tin-roofed shacks barefoot to beg for a few pesos in stopped traffic. This kind of socioeconomic diversity is sobering. How does one justify buying another pair of high heels, when the route to the mall leads right past a mother who’s hawking cigarettes to earn enough to buy her kid’s school uniform? Despite the constancy of these kinds of questions, Filipino standards for public dress are much higher than those found in America—no pajama-sporting college students or “I haven’t showered in weeks” Walmart shoppers to be found. Manila residents groom themselves before going out, even if just to get groceries. This cultural norm was one I didn’t even realize that I had internalized until I lived for a year in small-town Kansas, where I swiftly discovered that regularly wearing dresses to my public high school highlighted me as a dressed-up island in a sea of sweats. The constant tension of wanting to approach daily dressing as an art, while being unable to escape the gritty reality of urban poverty, represents Manila’s largest contribution to the space my psyche allots to fashion. And that tension led to the third Manilan factor that influenced my fashion sensibilities: Ukay-ukay. 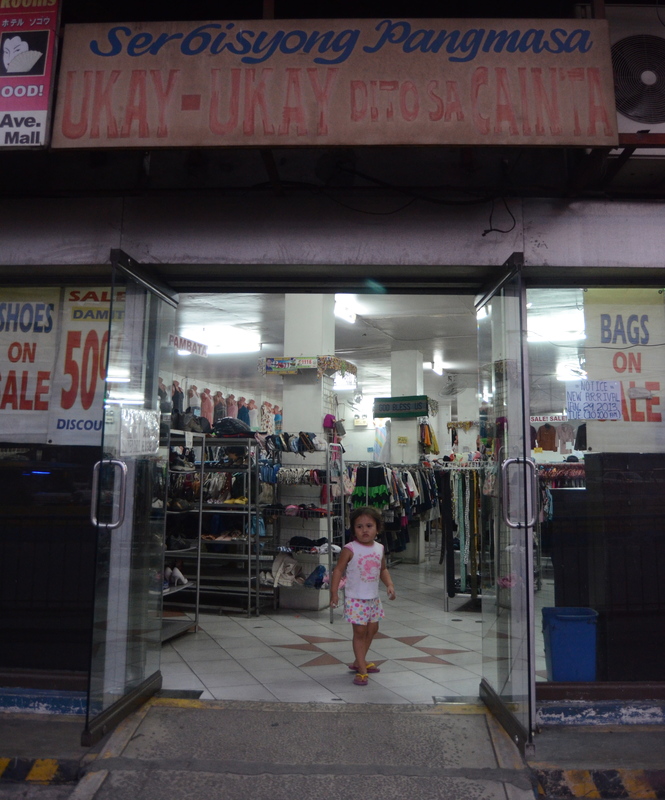 “Ukay” comes from the Filipino word “hukay,” which means “dig”—a fitting name for a store whose American equivalent is a thrift store. The distinct advantage that ukay-ukays have over the Salvation Army or Goodwill, however, is that most ukays are supplied by shipments from the fashion centers of the UK, Hong Kong, Seoul, and Tokyo. In other words, you’re not getting rock-bottom prices for clothes that look like they might’ve come from your Grandpa’s closet—which, like Macklemore, I admittedly have nothing against (if that means nothing to you, you may never have seen the crass but laugh-out-loud funny “Thrift Shop” video that brought thrifting officially into the American mainstream). Instead, you’re getting low prices for clothes that are coming straight from fashion capitals in time to be incredibly on-trend. My love affair with ukay-ukay shopping began in sixth grade, when I walked away from my first ukay trip with 5 items of clothing for ₱100 (the equivalent of about $2, at the time). I loved ukay because it was cheap enough that I could shop (within reason) guilt-free, and I ended up with cutting-edge outfits that allowed me to express myself imaginatively. In short, the wealth and poverty dichotomy, high standards of dress, and availability of cheap, trendy clothes helped sculpt my current fashion sentiments, which aspire to be both conscientious and creative. My personal life isn’t the only one being influenced by Manila’s fashion ethos, though. Don’t get me wrong when I mention the fact that it’s not leading globally—it’s nothing to scoff at, either. The Philippines has its own Fashion Week hosted in Manila, which was started in 1997 (54 years after NY’s first Fashion Week, the originator of the event worldwide), which boasts a lineup of over 100 designers and brands from around the globe. The Philippines also boasts a handful of noteworthy fashion bloggers, like Camille Co, Kryz Uy, Andre Judd Chang, and Tricia Gosingtian, who have garnered attention both at home and abroad. Overall, I’m proud of Manila and the fashion inspiration (and caution) that it provided me, and I’m excited to see where it goes next. Here’s to Pinoy pride! 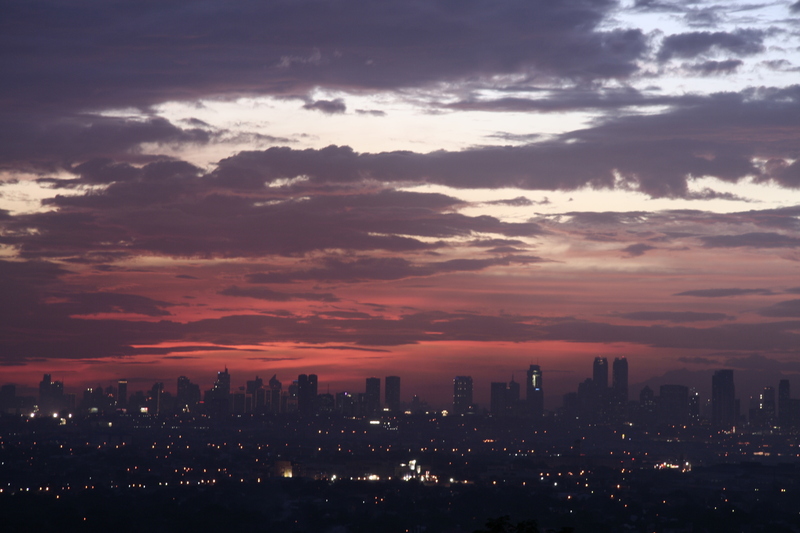 2 Responses to "Manila: Uneven Development, a Pajama-less Public, and Digging"
Nice article definitely can relate to the feelings of thrift shopping which until recently with the macklemore song were not as popular trending as they are now. I mean going to the good will where I lived as soon as soon as I walked in there I realized three things. First, everyone there was mostly poor or seemed to be on that side of society. Second, everything was old although not in bad condition. Its seemed only fitting that at the end of all this I realized that I too was poor. Still, its nice at least knowing there is someplace for the poor to go to get affordable clothing.